Modelling studies suggest that COP21 targets can be met with global gas demand peaking in the 2030s and declining slowly thereafter. This would qualify gas to be considered a `transition fuel’ to a low carbon economy. However, such an outcome is by no means a foregone conclusion. 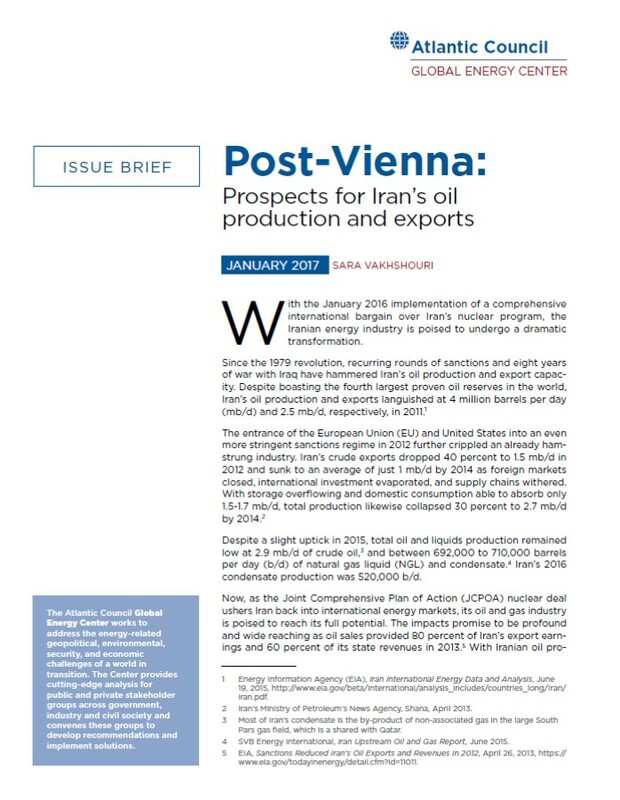 There are limited numbers of countries outside the OECD which can be expected to afford to pay wholesale (or import) prices of $6-8/MMbtu and above, which are needed to remunerate 2017 delivery costs of large volumes of gas from new pipeline gas or LNG projects. Prices towards the top of (and certainly above) this range are likely to make gas increasingly uncompetitive leading to progressive demand destruction even in OECD countries. The current debate in the gas community is when the `glut’ of LNG will dissipate, and the global supply/demand balance will tighten. The unspoken assumption is that when this happens – generally believed to be around the early/mid 2020s – prices will rise somewhere close to 2011-14 levels, allowing a return to profitability for projects which came on stream since the mid-2010s and allowing new projects to move forward. Should this assumption prove be correct, it will create major problems for the future of gas. The key to gas fulfilling its potential role as a transition fuel up to and beyond 2030, is that it must be delivered to high income markets below $8/MMbtu, and to low income markets below $6/MMbtu (and ideally closer to $5/MMbtu). 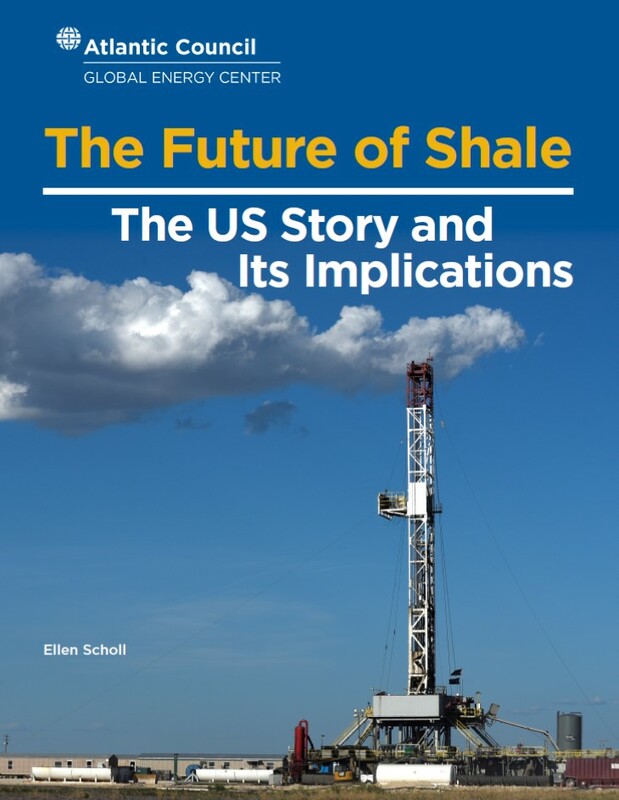 The major challenge to the future of gas will be to ensure that it does not become (and in many low-income countries remain) unaffordable and/or uncompetitive, long before its emissions make it unburnable. 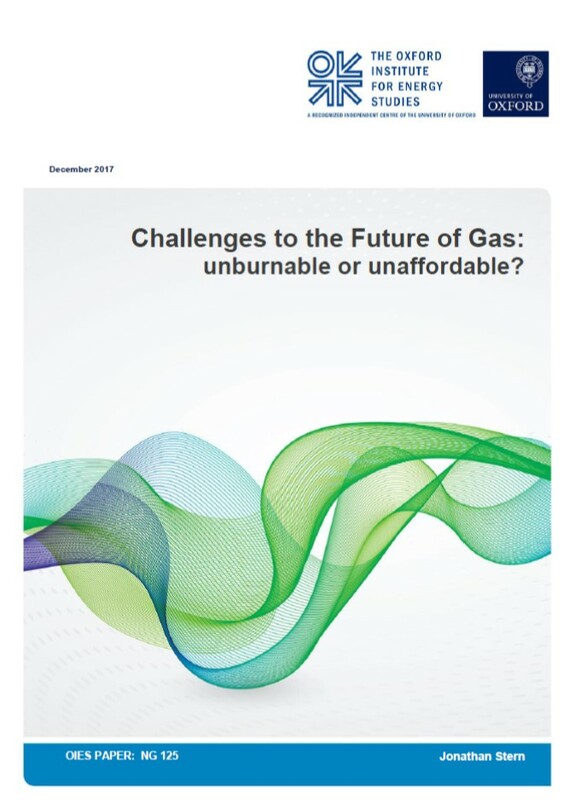 Read more about Challenges to the Future of Gas: unburnable or unaffordable? Les performances environnementales du gaz lui permettent de réduire rapidement et dès maintenant les émissions de CO2 du secteur électrique quand il remplace le charbon, deux fois plus émetteur. Sa flexibilité lui permet aussi de pallier l'intermittence du solaire et de l'éolien, facilitant ainsi le développement des ENRs. Il contribue de même à un approvisionnement électrique fiable et réduit les coûts d'équilibrage du système électrique. Il pourrait aussi être utile pour réduire les émissions des transports routiers et maritimes. Le gaz a donc toute sa place dans le futur bouquet énergétique européen, a condition de décarboner encore son usage, d'augmenter l'intégration et la compétitivité du marché gazier européen et d'assurer la sécurité d'un approvisionnement qui dépendra de plus de plus des importations extra-européennes. Thanks to its environmental performance, gas can help to quickly reduce the CO2 emissions of the electricity production when replacing the twice-as-emitting coal power. Its flexibility also help make up for the intermittence of the sun and wind powers, thus facilitating to the development of the renewable energy production. It similarly contributes to a reliable electricity supply and reduce the balancing cost of the electric system. It could also be used in the near future to reduce the emissions of the road and maritime transportation sectors. In nutshell, gas could play a key role within the future European Energy Cluster, provided the further decarbonization of it usage, the increase in the integration and competitiveness of the European gas market, and the securing of its supply-which will increasingly depend on extra-European imports.